Hello everyone, first, I would like to apologies for my long absence, again! I have just been so busy that I never have much time to post on here anymore, but I would like to try and make the effort to post as often as I can and here is a start! 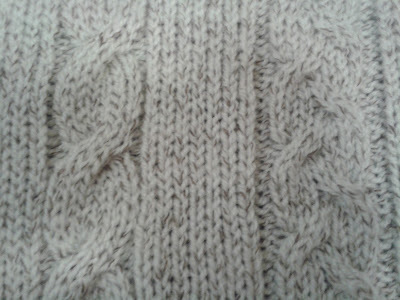 Last Thursday (the Thursday just gone) I spotted one of Susan's videos on how to do "cricketers cable" I thought it looked very fetching and since I was already looking for something I could make with this two tone aran yarn that I had, this was it. 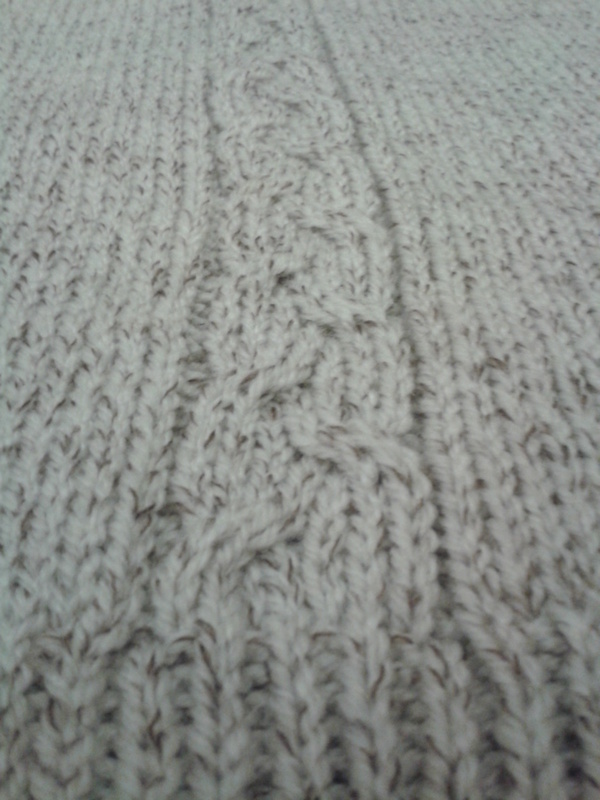 I didn't want to just do it plain and I didn't want to do cables I had Incorporated into a jumper before. After seeing the video, I thought "that's it!" 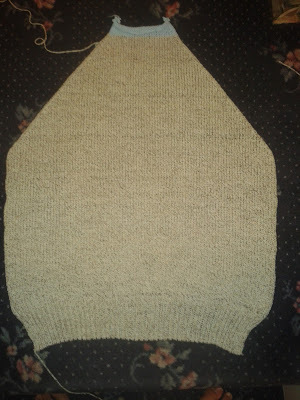 so I got the Bond Sweater Machine out and started making the basic raglan sweater out of the Bond pattern book. I made the back plain and the front had three sets of the cricketers cable along it with two basic 3x3 cables in between, the sleeves have the cricketers cable running up the centre of them. 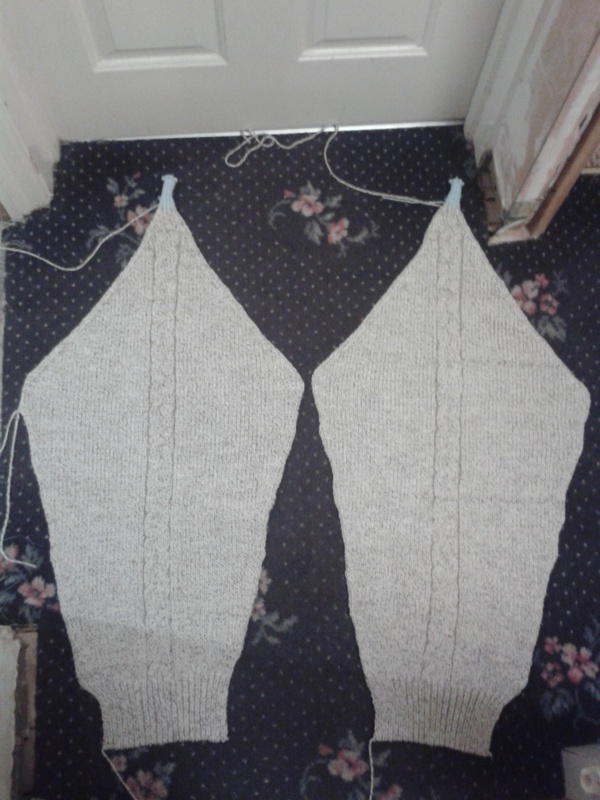 Here are the pieces knitted, now I need to join up three of the raglan seams so I can start the neck band. 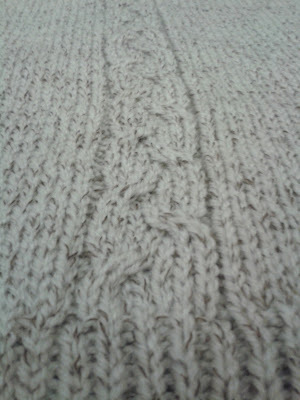 Here is a close up of the cable pattern on the front. 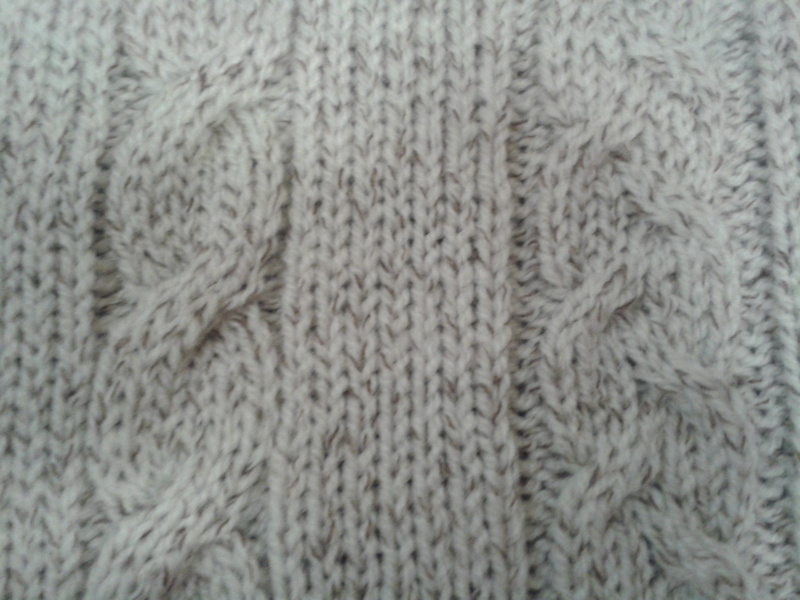 A close up of the cricketers cable running up the sleeve. It looks really good. 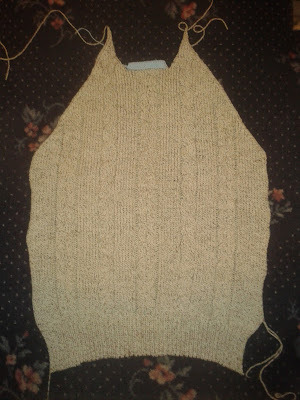 Looking forward to seeing the finished item.